Though only a single episode has currently been released, Geed is looking to be another good Ultra Series. The tone so far is somewhat similar to Orb, and Geed's forms are looking nice as well. There's hardly anything to complain about right now, so here's hoping it can keep this momentum throughout. 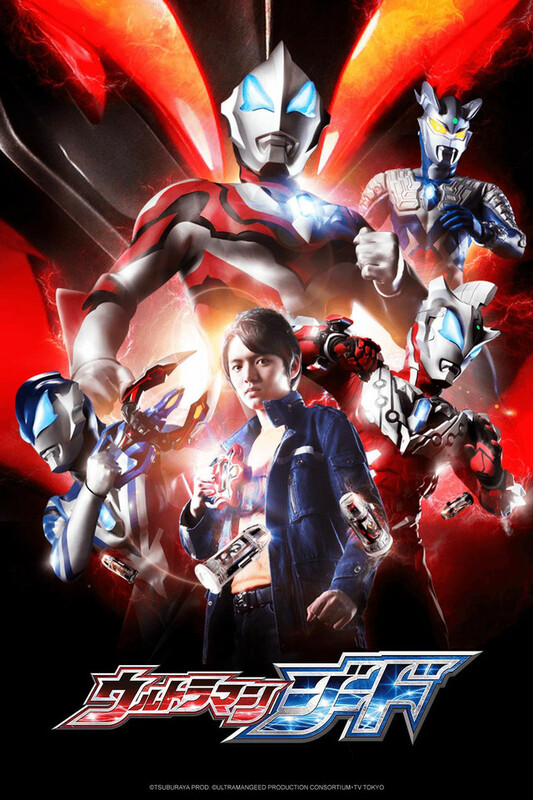 After the surprising popularity of Ultraman Orb's 10 Arc story (with Origin Saga being Arc 1 and The TV show being arc 6), Geed is definitely a series that is stronger than the previous four series with the 3 of them being failures that were the sparkdoll series. The directing is the best since mebius for a tv series, the story is great since it's a continuation of the m78 story and zero-belial story, and this is the first Ultraman show that utilizes Gimmicks and a serious or kamen rider-like tone well. The tone is great and the gimmick of gene containing capsule is fitting. I like this Ultra Hero series a lot because it reminds me of last year's show Ultraman Orb. It's all about how he fused two or more Ultra Warriors from the past and present to become Ultraman Geed in three forms like Primitive, Solid Burning and Acro Smasher. I would recommend to see this show online. ULTRAMAN GEED...too cool! One of the contributing writers to THIS Ultraman show is reported to have said that some of the inspiration for GEED came from ideas in the Arthur C. Clarke novel, CHILDHOOD'S END. Director Sakamoto (POWER RANGERS - the 'old-school' TV shows) was acknowledged to have seen some inspirations from the early anime DEVILMAN because like Akira in that TV show, Rick Asakura as GEED is fighting with the blood of a villain that has the potential for evil. I haven't watched Ultraman since I was a young kid in the 1960's, and these days, in general, I am not a big fan of mecha genre or fighting big monsters. However, in this show, it becomes evident that while the makers are clearly aware of sophisticated design concepts, they are very careful in all areas to retain the feel of the campy original. It would have been easier, and probably far cheaper to go CG in the fight scenes, but they chose to actually physically create the miniature city sets. You can tell the difference between live outdoor city shots and the mini-sets by the depth of focus, which they could have fixed with CG, but I think they did it on purpose to keep the feel. There are probably many viewers who might want to skip this because it is so corny, but the more I watch it, the more I'm starting to think this might be a masterpiece of Retro. So Realistic animation and great editing better than any other show! The green screen is great its probably better than any other show. The kaiju in this show look super realistic. The opening is even better than neon genesis evangelion and Death parade. The story is brilliant and is better than any of the big 3!